When wanting to edit a video regularly on Windows XP/7/8 or Windows 10 offline for free, roughly 55% PC users go for Windows Movie Maker, partly in the fear of adware or other things harmful to the computers. But Windows Movie Maker should not be the static option since not everyone has the same requirement and taste. Editing video clips cannot be a broader concept when referring to manipulating video images, either for adding a little decent polish, or simply making them shorter. The concrete demands of conceivable sorts vary from one to another, and here goes. [Merge]: I have set up a YouTube channel and I can now upload videos each longer than 15 minutes. How can I change the length of video from 15 to 30 or more minutes before uploading onto YouTube? [Crop]: Barely anyone wants to watch movies in letterbox. When I play the downloaded MPEG4 file it has vertical black bars. Can I get best quality picture and full screen with no black lines? [Trim]: I just want to trim the extraneous adverts off some films downloaded from UK TV. I also deadly need to reduce the size of video clips for posting to a small educational site. [Split]: I am trying to set up a new website, but they said the videos are too long. (They are sermon video's -about 25 minutes long.) Can I divide the video into separate MP4's to upload to our website? [Make Slideshow Video]: I'm in bad need of taking my picture slides so that I can exhibit them glidingly and gorgeously in our company's annual meeting. Trimming, cropping, expanding, audio volume, changing video resolutions, enabling inner and outer subtitles. That's all a free video converter can do! Besides converting video formats, editing is what most people are desperate to do. WinX Video Converter combines them and surprises you: Yes! This free video converting software, without anything to damage your PC at all, does the trick for trimming, cropping, expanding, audio volume, enabling inner and outer subtitles. You'll be enchanted by its free but wonderful features and the ease of use! The steps below will share with you about how to edit a video with free WinX Video Converter after you download it on (Windows 10/8.1/7) PC, and it also has a different version serving for Mac users. Step 1. Install the free video editor. After downloading, find the .exe file on the specified folder and disk, double click and install WinX free editor and converter following the wizard. Then launch it for free use. Step 2. Add a video ready for processing. Click "+Video", browse to the location of the video you want to handle, click OK and wait it to be added. Step 3. Choose an output profile. 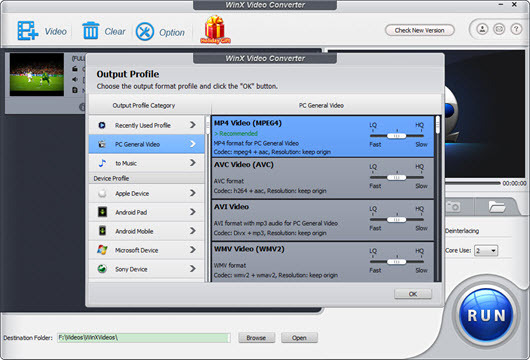 On the "Output Profile" replete with different options, you can choose an output video format according to your need, from PC (Mac) general profiles MP4, AVI, AVC, WMV, to Apple/Android/Microsoft/Sony devices or YouTube/Facebook/Vimeo web videos. After settling down, just click "OK". Step 4. Edit the video in detail. Click "Edit" item in the middle of the top part, and start editing the video. You can adjust the audio volume (up), choose inner subtitle track, add your own srt subtitle file, crop or expand, etc. Especially, you can click "trim" to cut the front and end points (intro and outro) of the video, and perhaps cut into 2 separate halves of it. Then hit "Done". WinX Video Converter is as easy to use as Windows Movie Maker, especially on Windows 10 PC. Step 5. Merge several videos together. After finishing editing the first video, you can add more video files via "+Video" again. Then check "Merge Output Video" on the right of the interface. 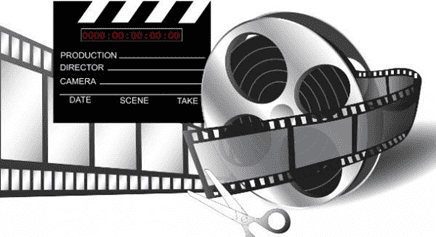 The video editor software will combine all the video clips you've chosen together into a whole, for example, combine a series of MP4 videos into one long MP4 file. Step 6. Get down to running. Optionally, change the Destination Folder for saving the output file. Click "RUN" button and start to edit the video according to your settings and to output the edited video in the file extension you chose. How to Achieve Advanced Video Edit? WinX Video Converter can truly meet your basic yet simple video editing needs before turning the video into any formats and sizes you like, all the way like editing movies in Windows Movie Maker, but it has so far a deficiency of some deepgoing compiling functions including EFFECT BRIGHTNESS and SATURATION. There are an inordinate amount of solutions for more advanced video edit demands, and the followings are in the top list, exclusive of Microsoft Windows Movie Maker, with which most people are already familiar with. To edit a video like a veteran movie director, you can pick up one of them. It has many controllable functions over both video and audio frame by frame, realizing both basic editing and advanced effects. 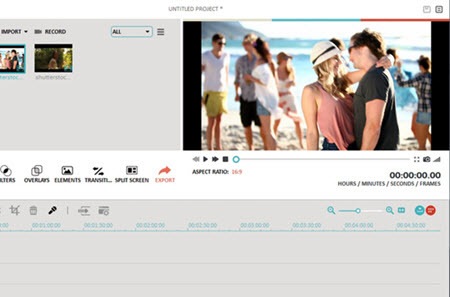 Precisely, it will stitch together video clips, music & text with text/title editing tool. This wonderful video editing software also comes powered with PIP, screen recording, video stabilization, screen splitting, scene detection, title shift and green screen. Superior to other moving editing apps, it is provided with Picture-in-picture, Mosaic, Face Off, etc. It costs $29.99 per year and $49.99 for a lifetime. 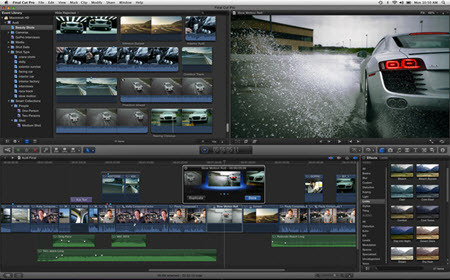 Claiming that "Power, speed and flexibility for video editors at every stage of the post-production workflow", Final Cut Pro developed by Apple Inc. truly stacks up against others. 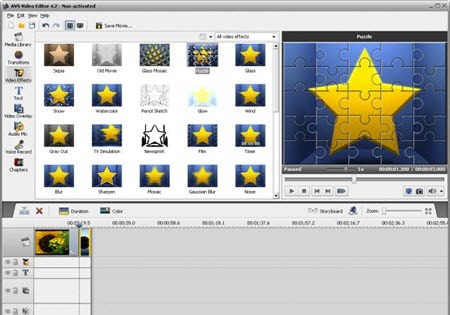 With this video editor, you can produce 3D titles, adjust color grade, apply and save custom masks and the like. The standard ripple, roll, slip, slide, scrub, razor blade and time remapping edit functions can also pique many users' interest. The Final CutTime-compatible video format including DV, HDV, P2 MXF (DVCProHD), XDCAM (via plug-in), 2K, 4K and 5K film formats. However, it is expensive for many users since it is available from Mac App Store for $299.99. A feather in AVS Video Editor's cap is the Media Library which allows you to edit and store videos and audios more conveniently. Not only user friendly, it is also professional-quality-rich (although with a bias to basic editing). It has support for Blu-ray videos, multilingual videos, with the ability to share videos directly to Facebook, Flick and MySpace. Although knowing as a stand-out video converter for Mac platform, this software has powerful video editing functions to make good use of your Multi-track MKV M2TS HD videos, Blu-ray videos and HD camcorder videos. In addition to the basic trimming and cropping edits, it can help add watermark (adjust the transparency, vertical and horizontal position of watermark), record screen from or on Mac/webcam, as well as reverse video image before converting. If not the top 1 video editing software, it is still the good combiner of video converter and editor. • Cuts, splits, merges, trims videos, also with deshaking, GIF, Fisheye correction, watermark, rotation and other editing features. • Fast and free downloads online SD/HD/4K UHD music/movie videos from YouTube, Vevo, Dailymotion, IMDb, Facebook, Yahoo, Vimeo and other over 300 websites. • Converts any (downloaded or shooted) SD/HD/UHD video to MP4, AVI, MOV, WMV, FLV, MP3, WAV, iPhone, iPad, iPod, Android cellphones/tablets, PS4 game consoles etc. • Makes appealing slideshow out of piles of meaningful photos with graceful background music effortlessly. • Supports Intel QSV CPU and Nvida NVENC GUP based Level-3 Hardware Acceleration, which brings the video encoding speed to 5x faster than any other tools. Let your video tell stories. 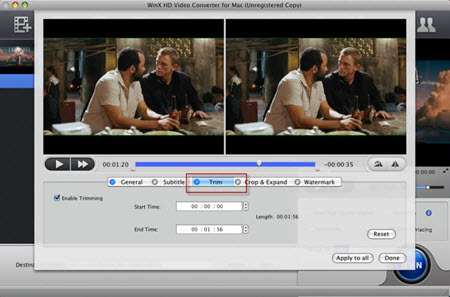 Free download WinX HD Video Converter Editor on Mac or Windows OS now.